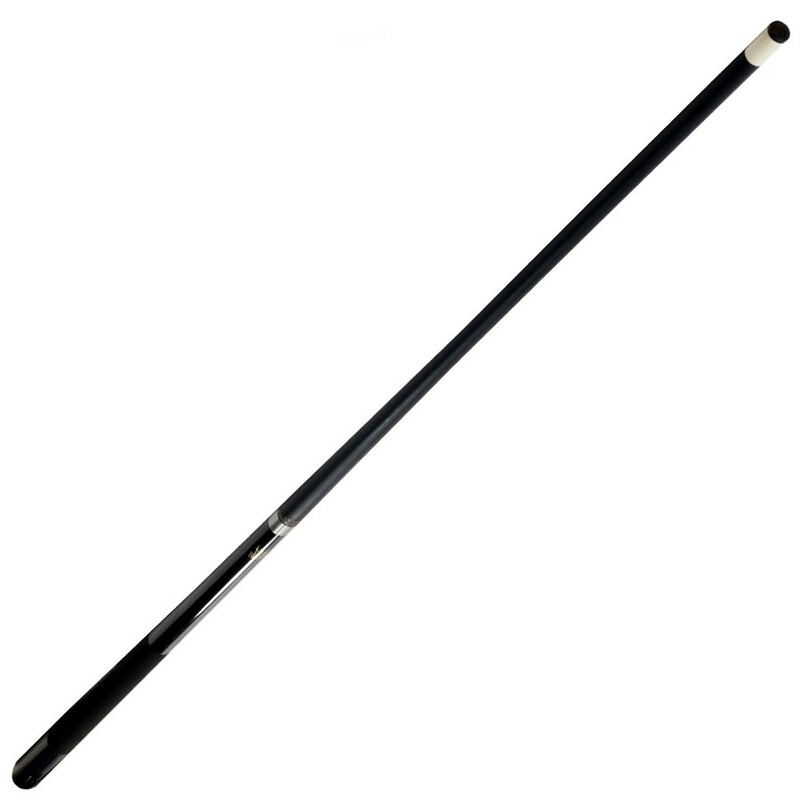 This Cuetec Recreational Series 57" one piece cue is simply the best House Cue on the market today. This cue is 19 ounce and all blue for easy identification. The shaft portion is painted fiberglass bonded to Grade A North American Maple and is warp, dent, ding, and scratch resistant with a 13 mm deluxe brown leather tip, polycarbonate ferrule for impact absorption, and a professional taper for a comfortable stroke. These cues are made with a Power Joint Collar for added strength and feature Cuetec’s famous Veltex wrap for a sure grip. This is a top of the line House Cue great for home and commercial use. Here is what makes these cues superior to the competition. Cuetec house cues have a far better pro taper than any other house cue. The taper is 15 ½" just like the 2 piece cues currently being used by professional Shane Van Boening. This pro taper provides a very comfortable, consistent stroke leading to better play. Cuetec house cues with their fiberglass coated, will stay straight much longer. The fiberglass is coated with the Tru-Glide finish to provide a smoother stroke which helps eliminate the need for messy hand chalk. The fiberglass coating makes the cue much easier to maintain. Use a damp towel to clean or wipe with Cuetec Hi-Tech to properly clean and condition the cue. No time consuming sanding or burnishing required. They will stay new looking much longer. The fiberglass coating allows the cue to take far more abuse, virtually eliminates dents, dings, and scratches that permanently damage or destroy other wood cues. Cuetec house cues, dollar for dollar, will play better and last longer than any other premium house cue made today!